Arnold Personal Defense utilizes the best methods. No belts or uniforms, not even any tradition; no nonsense, no BS, just real Personal Defense! If you're looking for optimal Personal Defense instruction, you really need to ask yourself three questions. Knowledge equals the Evolution of Research and Development of Integrated Fighting Systems. I take great pride in being one of few private personal defense instructors in the Northern Kentucky area. If you are interested in Personal Protection classes for yourself, a loved one, or friends and associates at your community space, workplace or church group, you've come to the right place. Please take special note that I respect everyone's privacy and as my client, I'll keep your training completely confidential! As an instructor, I also enjoy passing on the knowledge of the martial arts to today's youth. 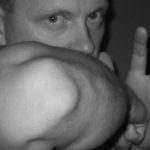 If you are interested in a more traditional form of martial arts for your child, check out the Arnold Martial Arts page at NKyMartialArts.com where you can get more detailed information. "My pledge to you as your personal instructor, is to provide the most up to date, efficient and effective means to protecting yourself and the ones you love. You're not coming to me to go through rituals, wear a uniform, or learn old techniques that might have worked a very long time ago. You want the hard truth and how it applies to the situations of today. 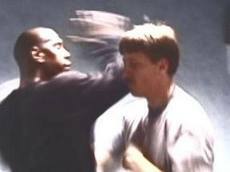 Let's face it, when it comes to unarmed Combatives, no one single style or system holds a patent on the truth and as you learn new skills there should be no doubt in your mind about the effectiveness." 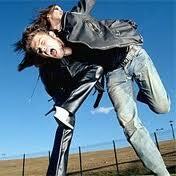 Personal Defense classes meet every Monday Evening from 7:35 - 8:35. Arnold Personal Defense utilizes the upstairs space at Top Flight Gymnastics to train adults in various methods of Personal Defense. The hours posted here are for this Adult Personal Defense class ONLY. For a complete listing of times for Top Flight Gymnastics please click here. Call the Top Flight Gymnastics front desk staff now to enroll for your free trial class at 859-344-1010.